This is the first data track. Significant amplitude variation is present with a very deep dropout in the beginning after the flat near zero track gap. The drive uses even parity which wasn't the best choice since it can't detect when an entire word is lost due to a dropout. Even parity has the number of ones in a word including the parity bit even so the parity on a zero word is zero. 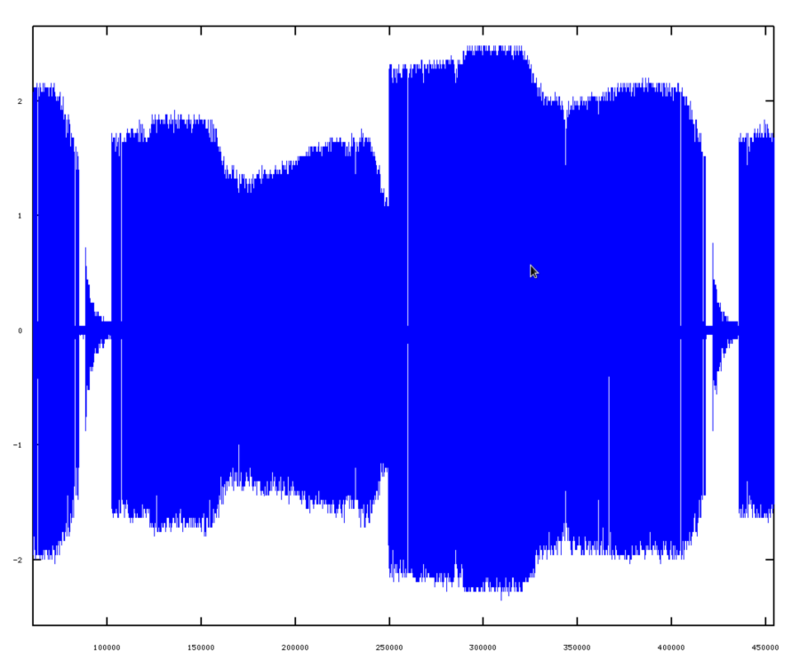 Since the NRZI recording only has flux transitions when a one is written a zero word will have no flux transitions. With odd parity the parity bit would have a flux transition so a dropout which caused the entire word including parity to be zero would then cause a parity error.